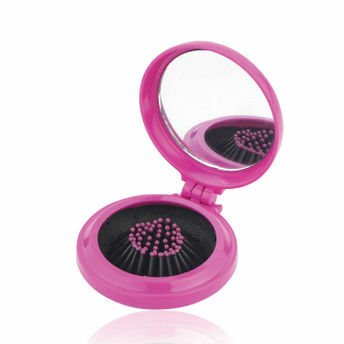 Kaiv Pop-Up Brush With Mirror is the ideal hair brush to have while traveling. The flexible and rounded nylon bristles are designed to deliver a gentle hair brushing experience. It is handy to keep in your purse, attractive and functional.